The ever-popular Puzzle League comes to Nintendo DSiWare. 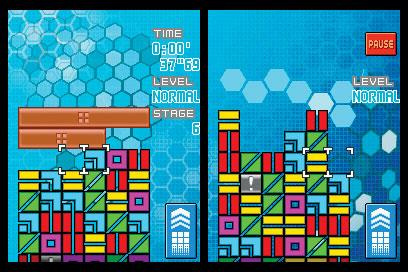 As it is with all good puzzlers, the concept is simple: Connect blocks of the same color to clear them from the screen and prevent your stack from becoming too high. 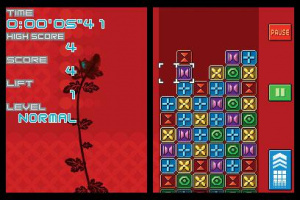 There are four single-player modes to choose from: Endless (survive to earn a top score), Clear (eliminate all blocks above the line), Score Attack (score as high as possible in two minutes) and Vs. COM (use items and combos to attack a computer opponent). 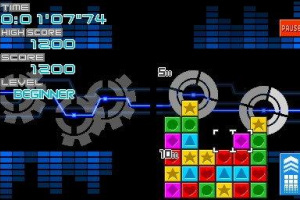 You can choose from a variety of background music to help get you in the zone, and even play in horizontal or vertical mode by holding the Nintendo DSi system normally or like a book. 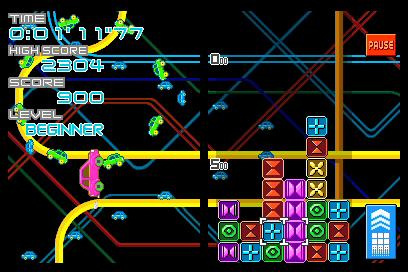 Whichever way you play, you’re guaranteed maximum fun. The retail release of this is excellent, though it's a shame you can rarely find anyone on online play It really comes to life in multiplayer. If you cannot find the retail version then I would pick this up. Planet Puzzle League is one of if not the best puzzle game I have ever played. I would want to give the retail version a try first. The retail DS version is outstanding. 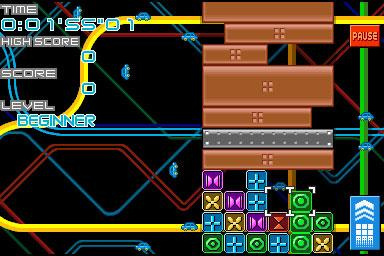 I even have the brilliant Pokemon Puzzle League from Wii's VC. 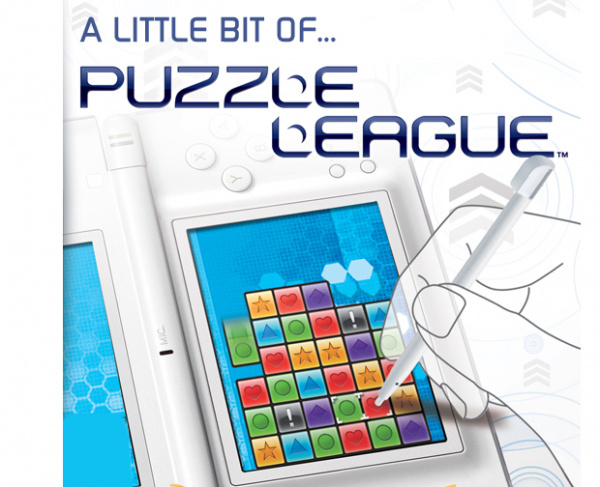 Does anybody else think the Puzzle League name is completely lame and uninformative? The "League" part is left over from when the game had the Pokemon brand. 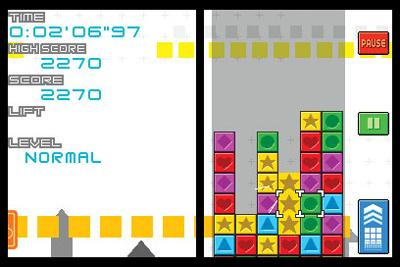 Still, its not like Tetris Attack was a much better name. Picross from Mario Super Picross? @Bass X0: I agree, Panel De Pon is a much better name. I just hate it why companies can't just use the original title. Will there be a video to see the game in Action? I downloaded it and I like it! I still have the retail version and I agree - the lack of online players is disappointing. There are a few REALLY good Japanese opponents, but few others. For 500 Points it's not bad for taking it on the go, especially since it leaves the DS cartridge slot free for another title (in my case it would be Suikoden Tierkreis), but better DSiWare games are beginning to appear. One question though: where are the classic Game Boy downloads? Me want Wario Land 2! This doesn't look too bad! It'd be neat to obtain a portable counterpart to my Virtual N64 version, for when I'm out and about. 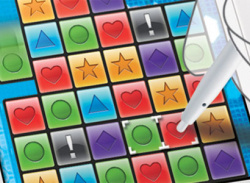 It's time to buy a DSi! In North America, it's titled "Puzzle League Express". 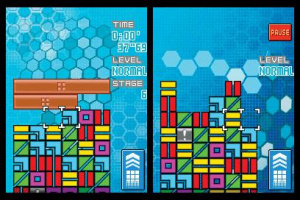 I like this as well but Tetris Attack was clearly much better.There was no real story mode to deal with,No real Puzzle mode there it starts off with 3 colored blocks to match.The Stage clearing is the same just with different music.It added item attacks but again at the cost of the puzzle mode that was in the original Panel de Pon/Tetris Attack. 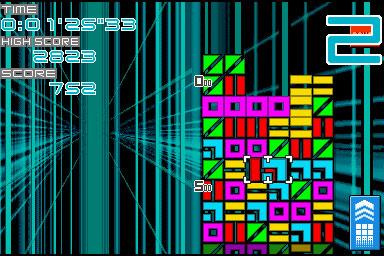 But it is still a must have if you are in really bad need of a great puzzler game.